There are officially three weeks until hurricane season ends at the end of the month. This year's Atlantic hurricane season has been the most active since 2013. 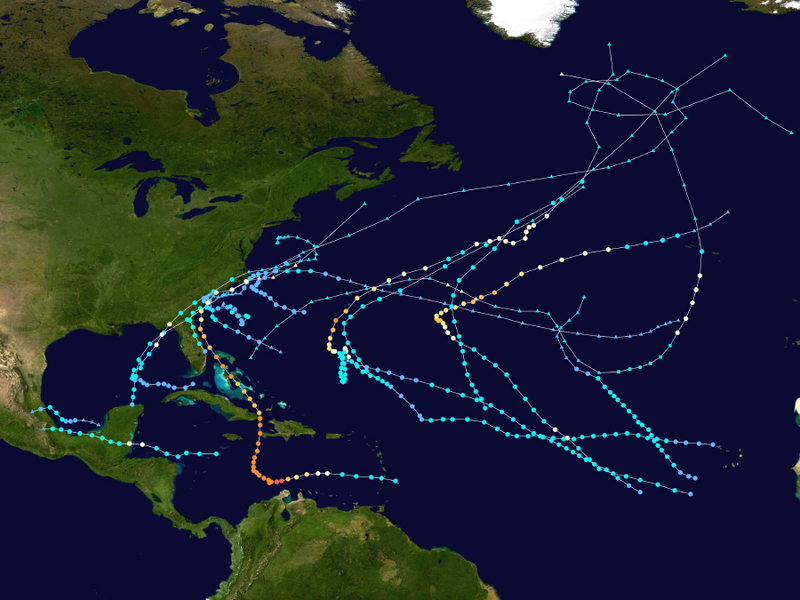 Both seasons produced 14 named storms. This year, eight of those were tropical storms, six were hurricanes and three of those became major hurricanes — Category 3 or larger. This was an especially deadly hurricane season as well. In all, 1,739 people died from hurricanes this year, most of which were from Hurricane Matthew in the Caribbean. The last time the death toll was that high was in 2005 when nearly 4,000 people were killed by hurricanes. Hurricanes cost a lot of damage this year, too. In all, a little more than $11 billion. Again, you'd have to go back to the 2012 season to find that much monetary damage from hurricanes. Fortunately, the Atlantic is looking very quiet at the moment. 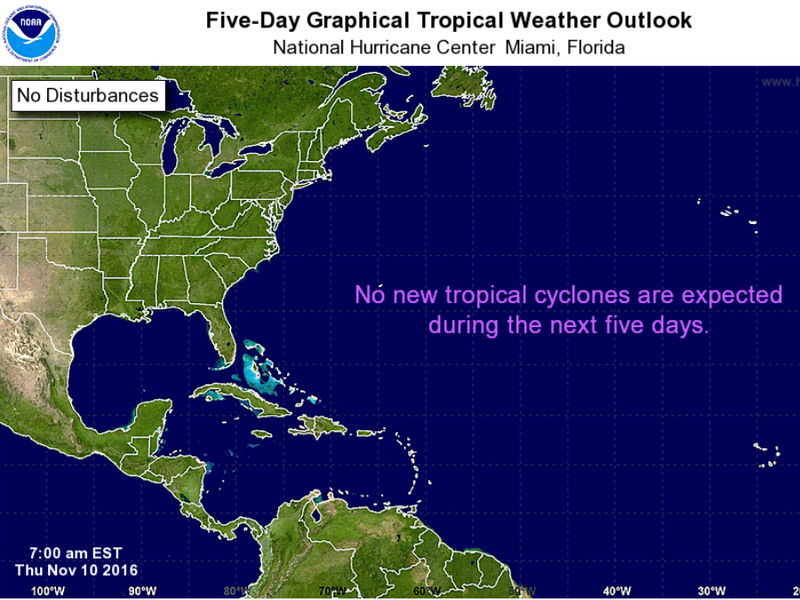 And if this current weather pattern holds, we've likely seen the last tropical storm and hurricane this year.